Links in this post are referral links, this means I get something from Boxycharm if you click the link and make a purchase. Find out more information here. A palette and brushes?! Killer box. Colourpop Element of Surprise Palette ($16.00) - That pink, it's stunning! It's gorgeous and applies so much better than I would have thought. The entire palette can make a cohesive look and the pink and coppery shade at the bottom right are the perfect additions. 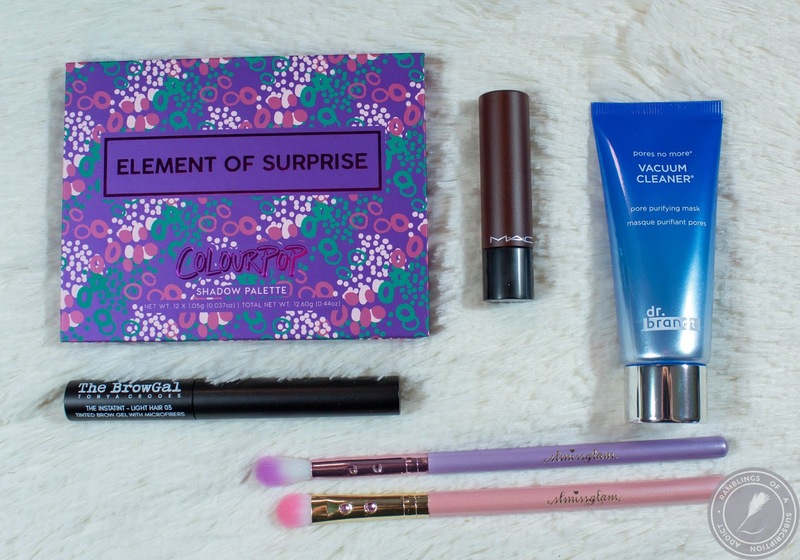 I love Colourpop palettes and will always welcome them in my makeup collection. SL Miss Glam Brush Duo ($38.50) - While I'd never pay full price for SL Miss Glam brushes, I love getting and using them. 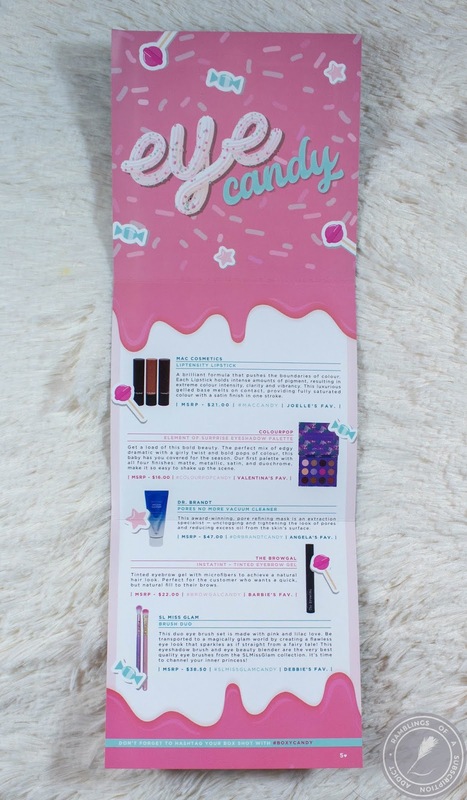 So much so that I actually bought a set on ipsy's offers. Again, they're great brushes but a little overpriced. 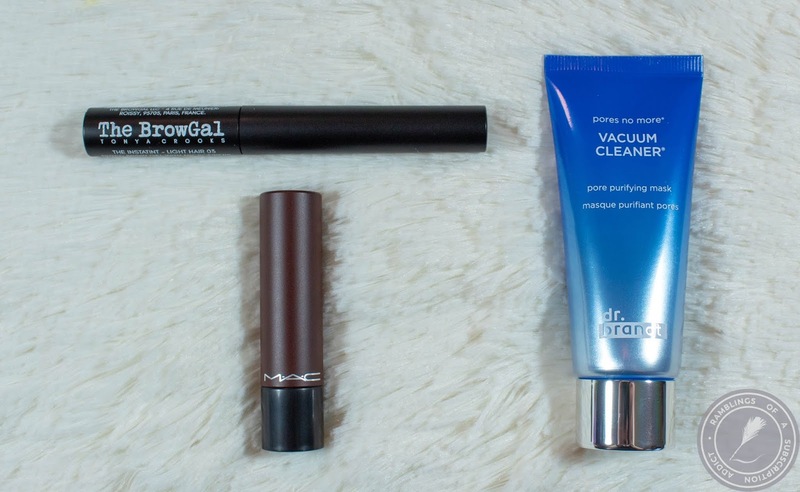 The BrowGal Instatint ($22.00) - I recently found this in my collection and it became my instant favorite brow product. It adds enough color without being too bold and just looks fairly natural for no makeup days but also makeup-y on normal makeup days. MAC Liptensity Lipstick (Marsala) ($21.00) - While this is a really pretty shade, it's definitely not my shade. If it had been a little redder and slightly lighter, it might have been kept. Because of how purple this is, I gave it away. dr. brandt Vacuum Cleaner ($47.00) - Surprisingly, I really like this product. It's not too rough on the face, does a good job cleaning the face, but doesn't dry out the face. 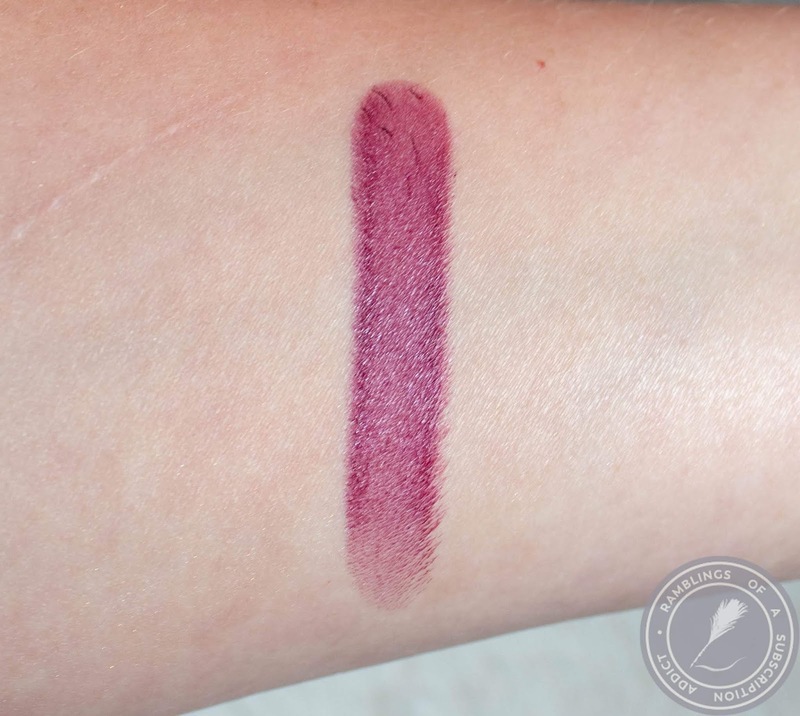 Swatch of MAC. My swatch of the palette is missing, I'll reswatch and post on IG eventually. 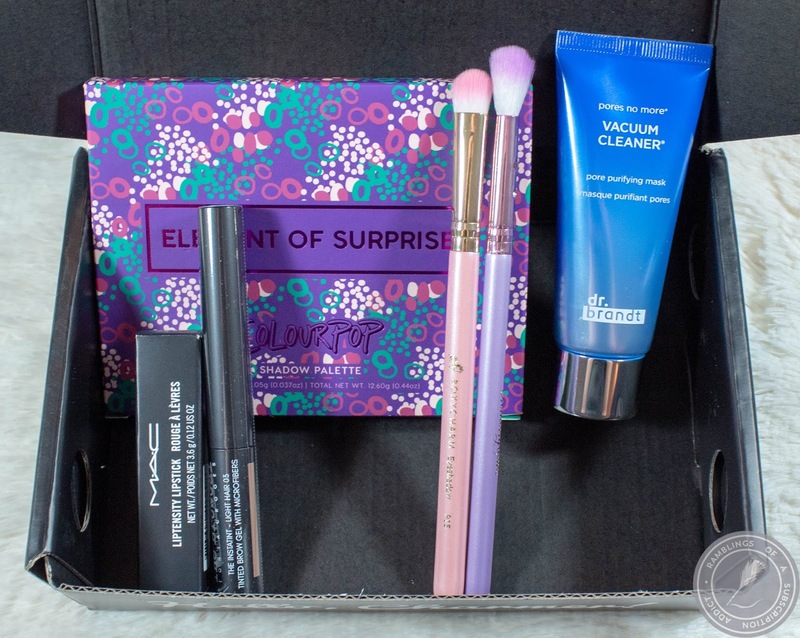 This box was valued at a whopping $144.50 and it had some solid products! Seriously, send me a ColourPop palette and I'm good.